The second LEGO store in the Lower Mainland celebrated its grand opening this past weekend with in store promotions and a LEGO Master Builder event at Guildford Town Centre. 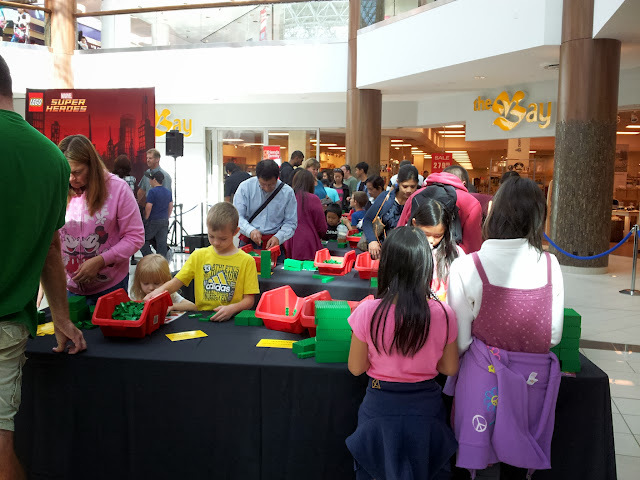 Each day, the first x number of customers got an extra t-shirt or LEGO model or minifigure set with purchase. I went on Saturday with K to get the Limited-Edition LEGO Store Set! 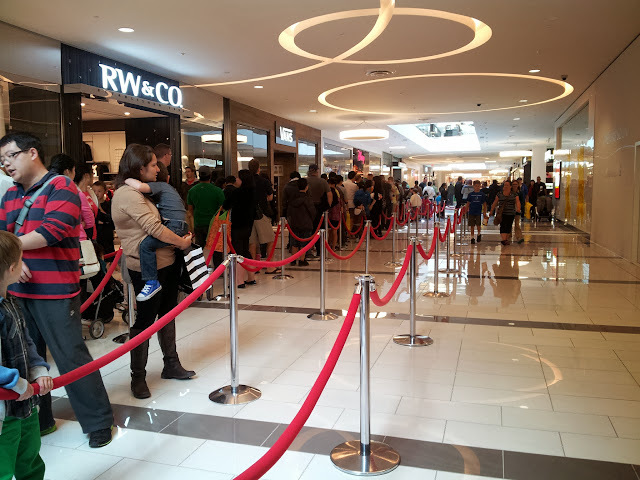 When we arrived, the line up to get into the store was huge! I was so afraid that we wouldn't even get the store set since only the first 300 get it and it has been half and hour after open already. 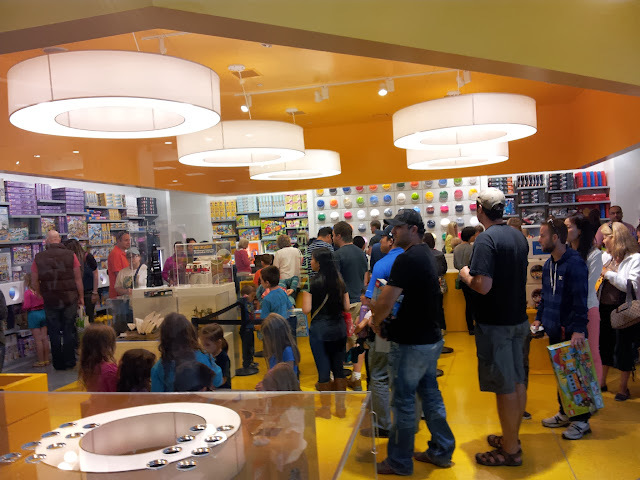 Inside the LEGO store, the line up to the cash wrapped around the entire store! Thank goodness, we made it into the first 300. I purchased a Star Wars set and received the limited edition store set. Yay! I saw someone who was buying another Star Wars set actually declined the free Store set! What?! I don't understand! Why?! The inside of the store is not much different than the LEGO store in Oakridge. 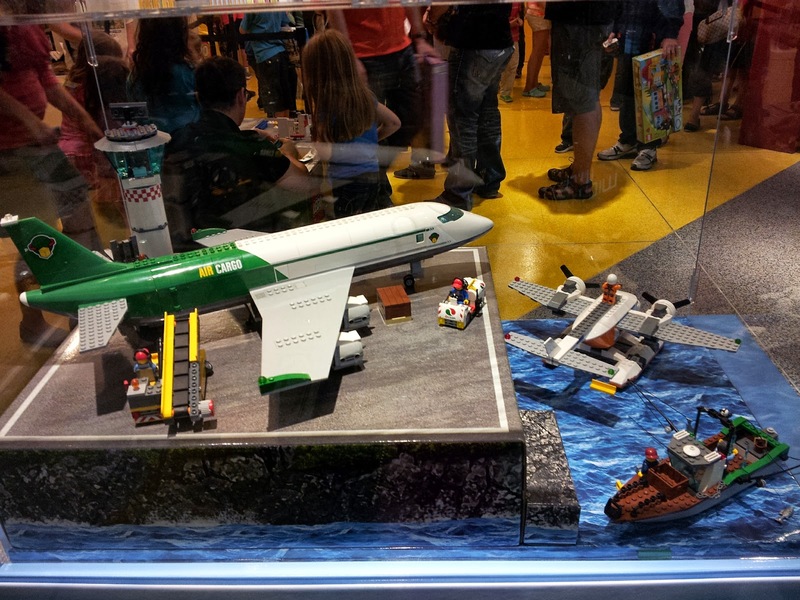 There's the popular “Pick-A-Brick Wall”, where you can hand pick and purchase specific LEGO bricks and elements in a variety of colors and shapes in bulk and a little hands-on play area for the kids (or adult customers). Cool LEGO airplane model on display. With our precious goods in hand, we headed over to the Centre Court to check out the eight-foot tall replica of the Hulk being built. Lots of kids were helping build the bricks needed for the making the Hulk. LEGO Master Builder, Chris Steininger, was answer questions in between building the 8-foot Hulk, which was about half way built at the time. 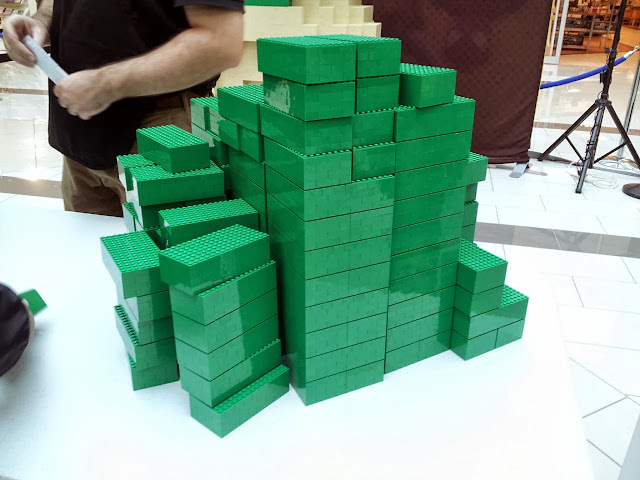 The Hulk needs a lot of green bricks to build bigger green bricks! I decided to pitch in and construct some bricks as well! Because it's fun! I recieved my own Certificate of Achievement for helping build the Hulk! This is what the finished Hulk looks like. Except bigger! Those that are interested in LEGO might want to check out The Brick Games, which is happening on October 26th in Langley, BC. There are prizes for competitors from ages 5 to adult! Until then, happy building!